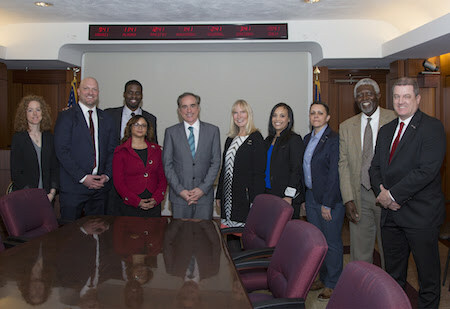 Secretary Shulkin Meets with IAVA Leaders in Washington D.C.
NEW YORK, NY (March 20, 2017) – Today, Iraq and Afghanistan Veterans of America (IAVA), the largest nonprofit, nonpartisan organization representing post-9/11 veterans and their families, announced a new campaign that will focus on changing the culture and standard of care for women veterans. IAVA members and leadership met with Secretary of Veterans Affairs, David Shulkin, to discuss the campaign. IAVA members attending the meeting reflect a wide range of diversity and come from across the country. Attendees included Paul Rieckhoff, Allison Jaslow, Melissa Bryant, Patrice Sullivan, Kristen Rouse, Wayne Smith, Tireak Tulloch, David Dickerson and Linda Stanley.